It was a long and tough journey to prepare the EB-1A I-140. However, with the professional assistance and prompt feedback from the NAIL firm, this process has become much easier. They always stick to the deadlines that have been promised (preparing reference letter in 10 days, petition letter in 10 days). Thank you Chen associates for your enormous help, which helped me get my case approved one day after USCIS received my Form I-140. 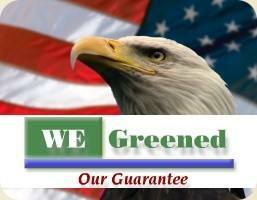 I will absolutely recommend you to every of my friends who will be applying for the green card in the future. I worked with this firm for my I-140 EB2-NIW application. They delivered everything as promised. Preparing documents for this application is a cumbersome work but WeGreened makes it really straightforward and simple. All I had to do was to write a research summary and contact my references for recommendation letters. Even for these steps they provided some samples and templates. Their messaging platform is great! Although I never talked to any of the attorneys on the phone, all my questions were responded within less than 24 hours on the messaging platform. I had worked with Chen Immigration group for my O-1A visa first and then retained with them for my I-140 petition under EB1A category. Their services are rapid and prompt with an affordable fee structure. They also have very high success rate of approvals. They have taken utmost care on all the required documentation. They usually respond to my questions in 1 business day. I highly recommend Chen Immigration group for my fellow colleagues for their petitions under various categories. Many thanks to NAmILG/Chen Immigration for the quality and efficiency of their services. They have always replied very fast to any of my requests or questions. They have provided me with very clear answers and guidelines to navigate the I-140 application process. Their preparation of the file and their drafting of letters were thoroughly thought out and meticulous. I consider they have played a key role in the success of my I-140 application. I would highly recommend Chen Immigration for their professionalism, honesty, and straightforwardness. Three of my friends who already got green card in EB1 category with the help of Chen immigration recommended me to contact this firm. They gave me free evaluation and approve and refund policy for my EB1B. I don’t know about other firm but I can say that I had a very good experience with Chen immigration. My attorney guided me on every single step and never got irritated even if asked same question several times. I got the answer of all my questions within 24 hours of time. As they promised, they wrote very strong letter of recommendation and drafted my petition within timeline. I was impressed the way they presented my case in the petition and as a results my case got approved in 7 days. I would strongly recommend Chen immigration to anyone trying to get green card under EB1 category. As I heard from my friends and I also experienced that they are the best with impressive team of attorneys. Thank you so much Chen immigration. It would not have been possible without your help. You are doing really good job. Keep it up ! It is with great pleasure that I here come to express my highest gratitude and respect for North America Immigration Law Group. Victoria Chen and her incredible competent and professional Team of Attorneys are highly recommended by me. They diligently worked on my application and provided me with the best word of advice and expertise regarding my I-140 case. My process was approved within the standard and current processing time of four months. I am now, undoubtedly working with them again to apply for the I-485. I would recommend one and only Law Immigration Group, and that is Chen Immigration & Attorneys. This Team is stupendous. Thank you so much. This would not have been possible without your effort. This is wonderful. I appreciate your hard work and efforts on my case! Thank you so much for your help and support. I am very much pleased and satisfied with your service at each step along the way of filing I140. Without your firm, it was almost impossible for me to file it myself. Please feel free to share the success story and I will definitely recommend your law office to my colleagues and friends. Thank you so much for telling me the good news! I really appreciate your help! I am very happy that we could make it together since there are fewer cases in art in comparison with other fields and I would like to share this success with other potential applicants as well. [â€¦] to me instead of finding other attorneys who are more reputations in art, I decided to choose you because your team were/are very communicative with the clients and you had/have very good understanding about the financial difficulties that we had faced. I will recommend you to all my friends for sure! That is a great news. Thank you so much for your service. You guys are the best. Thank you so much for informing me the approval of my I-140! I really appreciate your attorney and those who had contribution on my case and put time and expertise for preparing and presenting my I-140 application. After I saw the good quality of work, I started to recommend your attorney to my friends. I really appreciate your service for my I-140 petition. I cannot thank you enough. [...] All of my friends know you and will continue talking about how good you are as an attorney. I am very lucky to have you help me go thru all these difficulties. I cannot say enough to thank you for all your help! Your firm has demonstrated great professionalism. I would love to recommend you to my friends. Thank you so much for working so hard in my case. I have no problem if you post my success story in your website with only my initials. I have already recommended you to many of my friends. I think that they have already contacted you or will soon do.